"Then Come Back, The Lost Neruda Poems" translated by Forrest Gander. 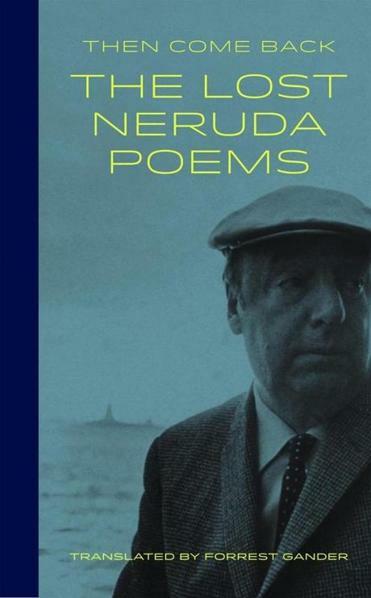 Decades after the death of Pablo Neruda, the Nobel Prize-winning Chilean poet, up pops a new book of his poems, unearthed during an inventory of his archives. The nonprofit Copper Canyon Press raised funds via Kickstarter to publish the gorgeous “Then Come Back: The Lost Neruda Poems.” In the prologue, the book’s translator, Forrest Gander, admits to being wrong for saying in print, “The last thing we need is another Neruda translation.” Neruda writes of astronauts, his wife’s ear, a marriage that grew out of a magazine interview. He rants against the telephone; he rhapsodizes about the Andes; he still writes of love.